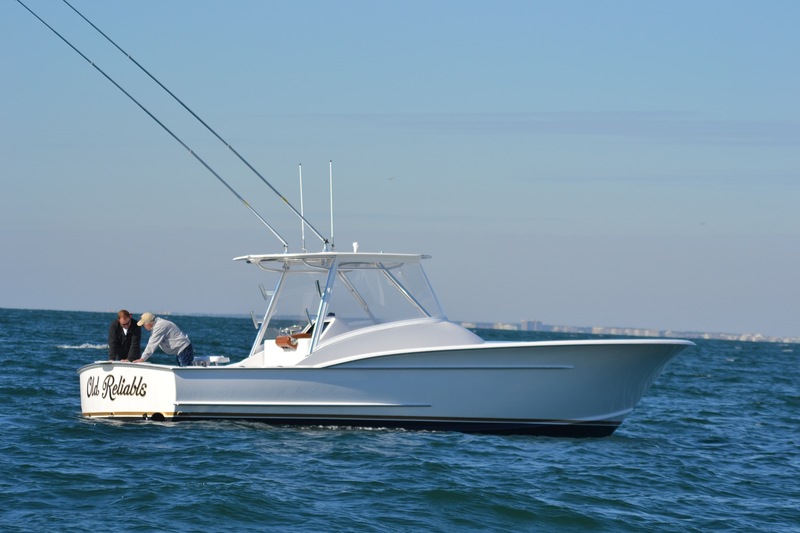 The Winter 33′ walk-around was built primarily for the intention of sailfishing off South Florida. 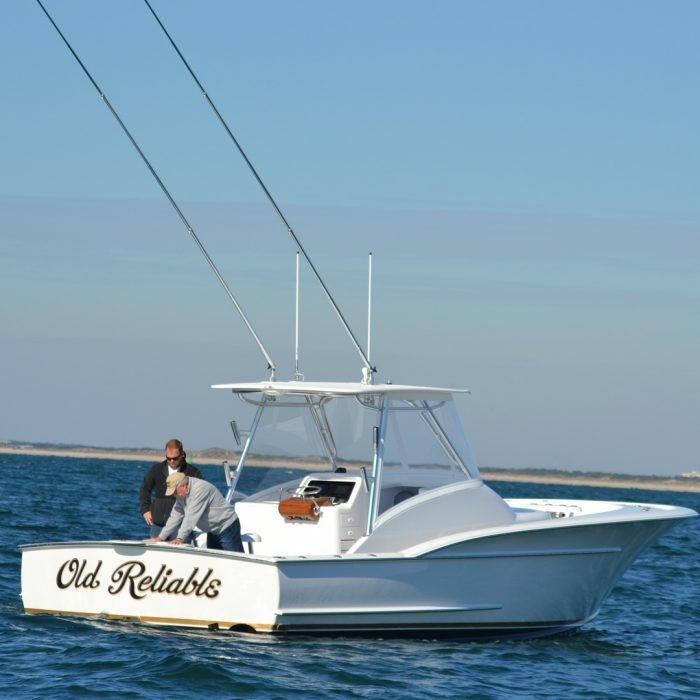 She was originally built for Mr. Nick Smith of Stuart, Florida as “Old Reliable.” The concept behind this boat was to build a simple, clean platform that needed little maintenance that had all the look and curves of much larger boats. 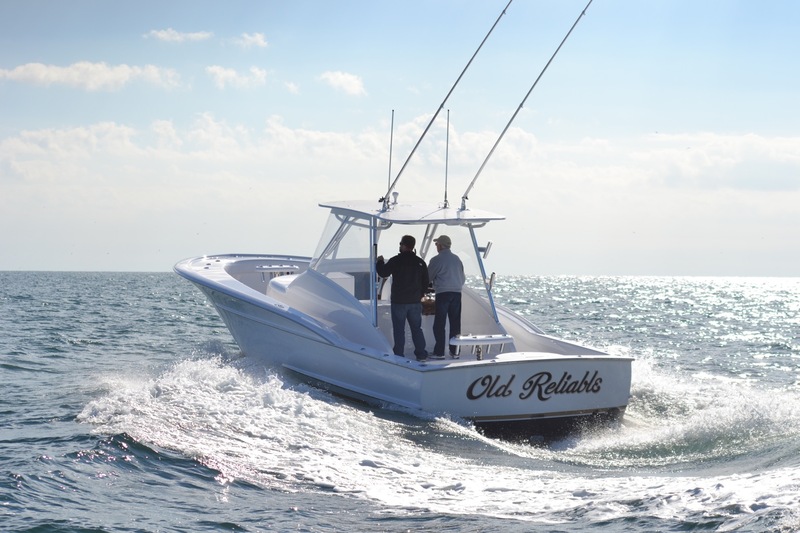 The walk-around concept was applied to this hull to allow full flexibility whether cruising or fighting a fish. 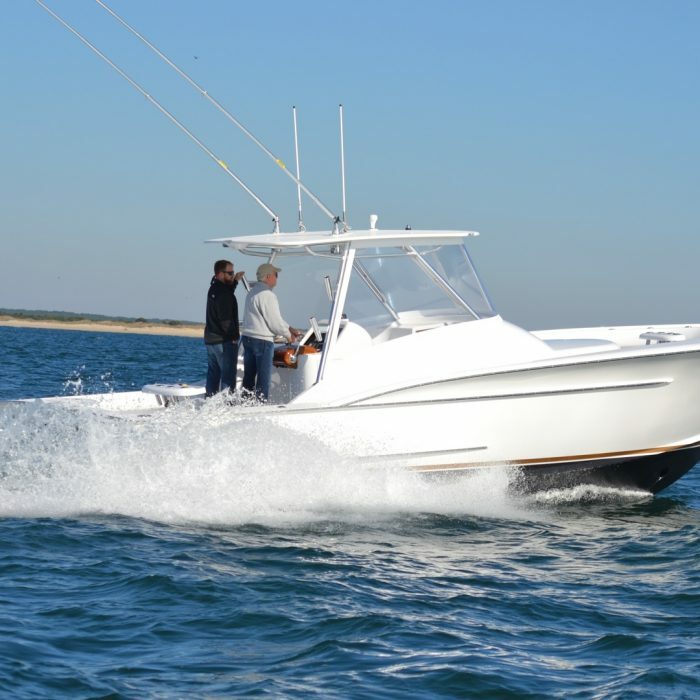 Hull W-15 is an example of how beautiful simplicity can be. She has few bells or whistles, but catches eyes wherever she goes. 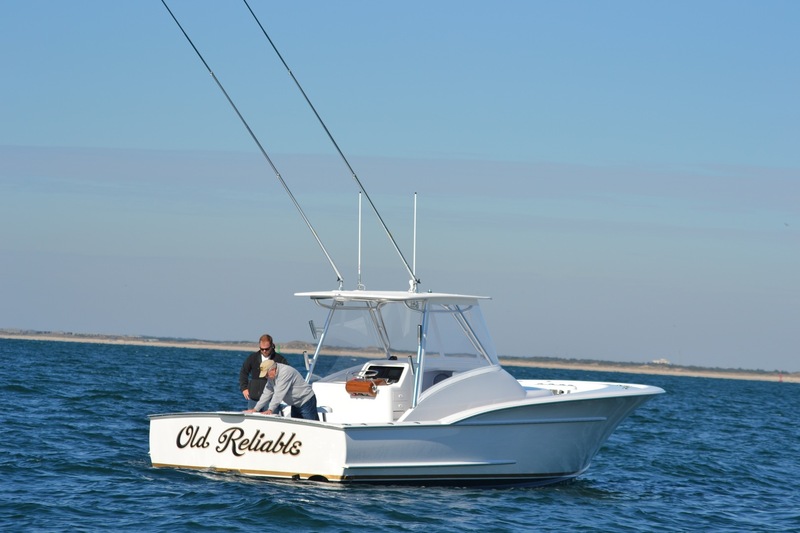 It’s a purposeful boat that does exactly what she should do, and she does it well. The bottom of the craft is based on Winter’s traditional Carolina hull with moderate dead rise forward transitioning into 13 degrees aft. 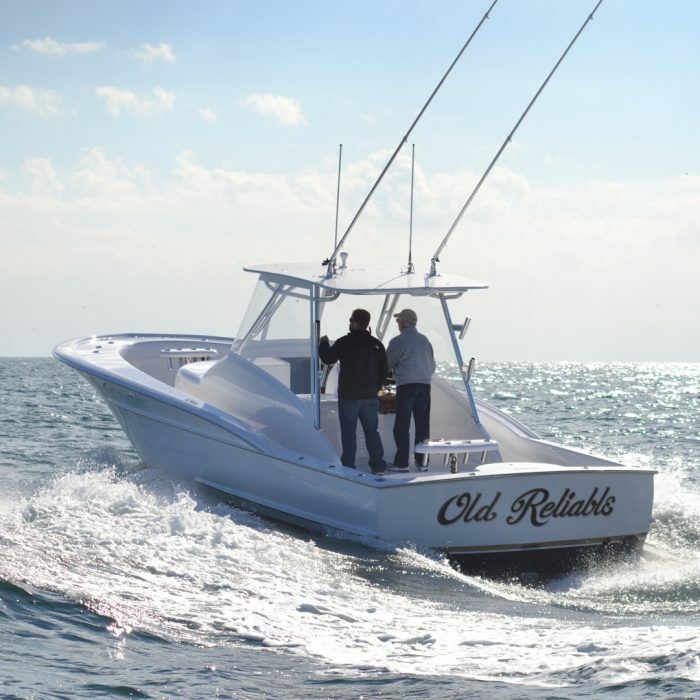 A single 550 Cummins propels her to a cruising speed of 30 knots, while burning less than 20 gallons of fuel per hour. Her Veem Interceptor wheel is within a deep tunnel that reduces her draft to 33″. 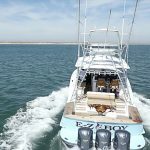 The boat is equipped with dual rocket launchers forward and aft that include electric outlets found within for managing kites with electric reels. 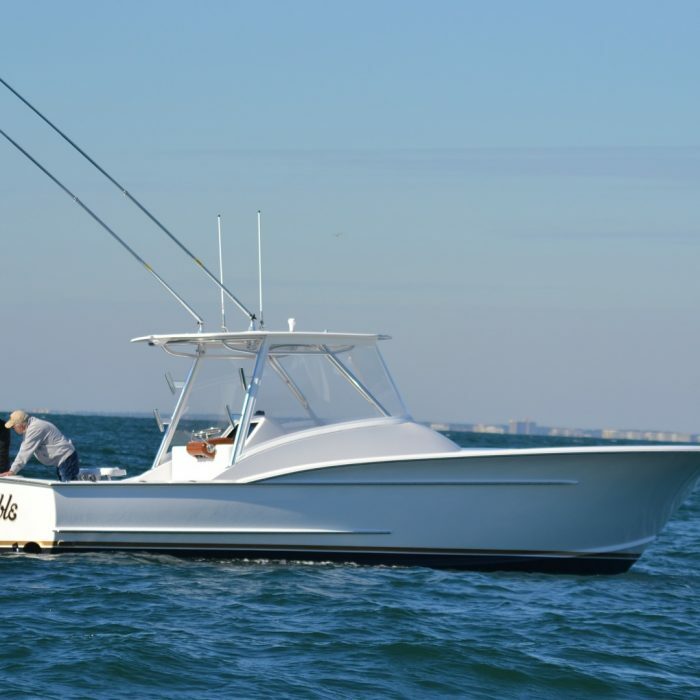 The aft 40 gallon baitwell provides storage for a day’s worth of kite fishing. The interior is accessed through a custom sliding door that vanishes through the main threshold as one enters the cabin. Her all faired and painted interior with teak accents make for a clean and simple look that exudes quality and craftsmanship. Custom tackle drawers, built within, contain all all the terminal tackle and tools any angler might need. Leader material and helium is also stored within the port side glove box for easy access. 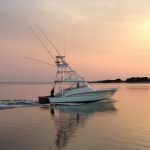 When experienced up close, it is easy to see how one falls in love with Carolina-style sport fishing boats. 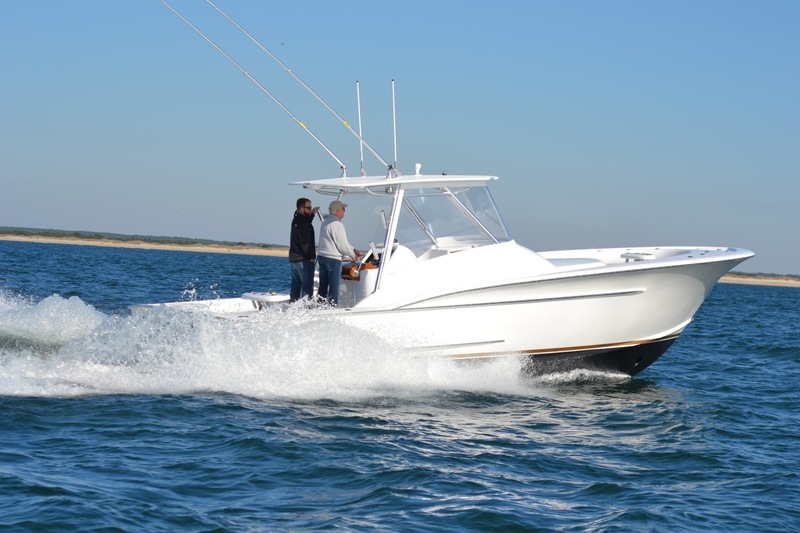 Winter’s Hull W-15 is among the best.